The Fast and the Furious movies are everything that mindless escapism should be. They’re stupid, silly, and make Mad Max: Fury Road look like a documentary, but they’re also creative, inventive, and fun from start to finish. The characters aren’t Shakespearean, but the cast share wonderful chemistry and keep us invested with every adrenaline-pumping moment. The story is just an excuse to partake in a slew of ridiculous action sequences, but the filmmakers manage to up the ante with each new set piece. That’s more than can be said about Michael Bay’s relentless Transformers franchise, where characters are all insufferable and the action scenes are interchangeable. Furious 7 in particular was perhaps the best Fast & Furious movie yet. It even left the characters on a fitting note that could’ve acted as a grand finale. Of course if that had been the end, we wouldn’t have the awesomeness that is The Fate of the Furious. The eighth entry in this never-ending series keeps the momentum going, delivering exactly what audiences want to see. It additionally offers a promising new beginning on the heels of Paul Walker’s tragic death. Walker certainly isn’t forgotten, though, as demonstrated through a touching nod to the late actor towards the film’s conclusion. It might’ve started off as the street-racing equivalent of Point Break, but this franchise reinvented itself as a heist thriller in Fast Five. Now the series has ditched the heist element to become a spy caper of sorts. Without giving too much away, Dominic Toretto (Vin Diesel) is forced to turn on his family when cyberterrorist Cipher (Charlize Theron) blackmails him into working for her. To take down Cipher and figure out exactly what Dom’s up to, the illusive Mr. Nobody (Kurt Russell) assembles an elite team. Plenty of fan favorites are present, from Michelle Rodriguez’ Letty, to Tyrese Gibson’s Roman, to Dwayne Johnson’s Luke Hobbs. Jason Statham is even back as Deckard Shaw, amounting to several memorable interactions with Johnson. Theron additionally makes for a menacing villain while Helen Mirren also drops in for a memorable extended cameo. While the supporting cast is universally great, the one player that’s sadly kind of a bore this time around is Diesel’s Dom. While he does score a couple kickass moments towards the beginning and end of the film, Dom spends most of the runtime under Cipher’s thumb. As a result, he rarely gets to play off anyone else. One can’t help but wonder if this was the filmmakers’ way of shooting around the off-screen feud between Diesel and Johnson. In any case, Dom’s decision to keep his family in the dark doesn’t entirely make sense. Couldn’t he have clued them in before going rogue? Then again, this is a Fast & Furious movie. You’re supposed to check out your sense of logic at the door. If you’re willing to go along with the glaring plot holes (which has always been a necessity for this franchise), this film turns in all the action and one-liners a fan could desire. The highlight is a climatic Artic chase, complete with cars, planes, and one giant submarine. All the while, director F. Gary Gray injects every shot with kinetic energy. 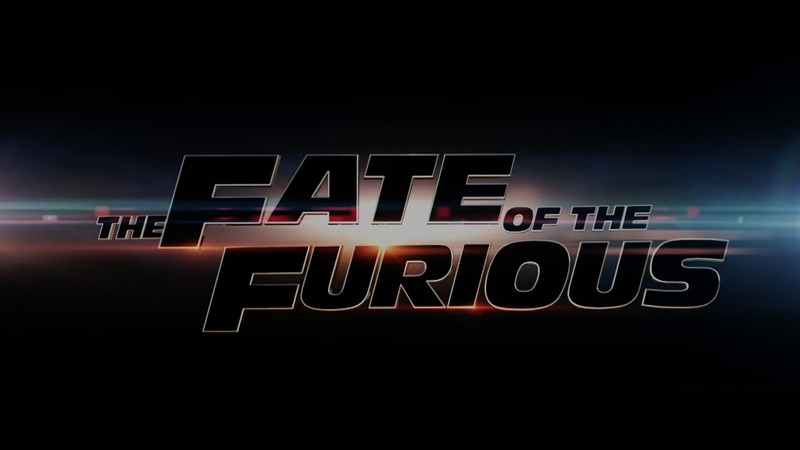 If you’ve never really cared for this series, The Fate of the Furious isn’t going to convert you. If you bought your ticket advance, however, take solace in knowing that you’ll get your money’s worth. This entry was posted in Reviews and tagged Action, Crime, Thriller on April 13, 2017 by Nick Spake.